Last year, more than 4,400 Roma arrived in Canada from Hungary seeking asylum, more than from anyplace else in the world. Nahlah Ayed and Ed Ou tell the heartbreaking story of a group of Roma musicians, who after years of physical intimidation and virulent racism made the bold move to leave Hungary for Canada. In an old photo of the band Romanyi Roma, the group’s members seem to have at least two things going for them: optimism and youth. Dancer and singer Ildiko Balogh still has the same innocent-looking face, but in the picture, her hair is darker. (It’s now bleached blond.) In the image, her husband, guitar player and lead vocalist Ferenc Balogh, has a moustache and a significant amount of hair, but probably no inkling of the heart disease that, later in life, would often leave him winded and ashen-faced. The picture was taken two decades ago, which is when the Baloghs first dreamt of emigrating to Canada. But they chose to stay in Hungary, to entrench their reputation as a leading traditional Roma troupe. They managed to become celebrities at home, while also exporting some of their music abroad. But when we met them this past October in Budapest, there was no question of staying — for any reason. The optimism of the old days was gone. "I’m no longer willing to take risks," Ildiko Balogh says, Ferenc listening and occasionally lowering his gaze. "My husband is sick, he has no work. My daughter is pregnant. It’s just impossible to live in safety here." Each time you ask the Baloghs why that is, they recount yet another incident in which they or their family were threatened, harassed, even beaten. A few weeks ago, they say a group of youth dressed in black crashed one of their concerts. The young men appeared to be having fun, until they got close to the stage. That’s when they started punching the air and hurling insults: You dirty, rotten Gypsies, we’ll cut you down. "I was a little scared," said Ferenc, who has since been reluctant to put on another show. Fear propelled him into action after a more recent incident crossed a red line, touching his daughter Klaudia and her husband, Miklós Rostás. Black-clad attackers followed them one night and began to taunt them verbally. We will kill you, they said. "They wanted to hit my daughter," said Balogh. "My son-in-law blocked the [attacker’s] hand, and got slapped in the face and then punched in the chest." The Baloghs believed it was time to rekindle that dormant dream of living in Canada. To raise the cash to buy the plane tickets to Toronto, they sold just about everything — except their instruments. The Baloghs were about to follow a long line of Hungarian Roma who have made their way to Canada to escape what they describe as constant persecution and racism. Roma in Europe have long been vilified, often condemned wholesale as criminals; countless of them were murdered in the Holocaust. But even today, they live on the margins of society, subject to racism, assault and even murder. That’s why, Roma argue, they’ve set their sights on Canada. Last year, more than 4,400 Roma arrived seeking asylum — more than from anyplace else (even Africa and Asia). 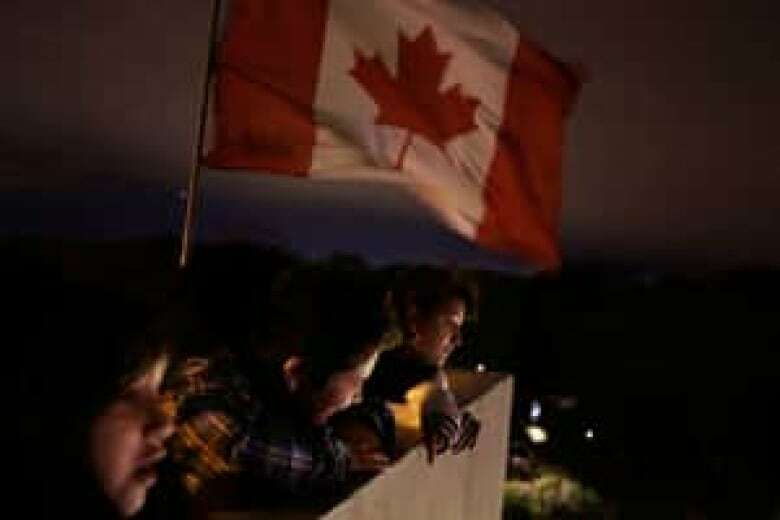 The Canadian government believes the vast majority of them come to defraud Canada’s immigration system and that in fact most are rejected, abandoned or withdrawn by the applicants. "If someone comes to Canada and enrolls, and makes an application for asylum, they’re telling us that they have a well-founded fear of persecution," Immigration Minister Jason Kenney said in an interview. "If they subsequently withdraw their own claim, they’re telling us that in fact they don’t need Canada’s protection, that they’re not victims of persecution, and that’s… a bogus claim. It’s a fake claim." The current influx started in 2008 — the year Canada lifted a visa requirement for Hungarian citizens. It was the same year that Hungary fell into a deep recession, sending many ethnic Hungarians packing, too. The perfect storm of 2008 also marked the start of a series of murders and violent attacks on Roma in Hungary that struck fear into their communities, and inflamed tensions with non-Roma. Today, that tension is at an all-time high. You don’t need to spend a lot of time in Hungary to feel that tension, or to get a sense of the segregation. Both sides appear culpable, but it is ultimately up to the government to fix it. Most striking, perhaps, are the hundreds of Roma settlements that are scattered throughout the country. We visited three of them: wretched blotches of living space that are difficult to reconcile with a modern Europe. Many have no access to drinking water, no jobs or basic services and only rudimentary living conditions. The segregation of the Roma is sometimes compared with what African-Americans faced back in the 1950s. They live physically apart. They are often shunned and pointed out on public transportation, in workplaces, even on the street, where anti-Roma graffiti isn’t difficult to find. There is no doubt Roma are pushed to the margins by societies that are slow to do the hard work necessary to bring them in. But in many cases, the Roma themselves are culpable, thriving in a culture that values extended families and blood relations over anyone else, which makes integration with non-Roma difficult. In Hungary, Roma are effectively segregated at schools from an early age under an unwritten policy that keeps them apart from other kids. 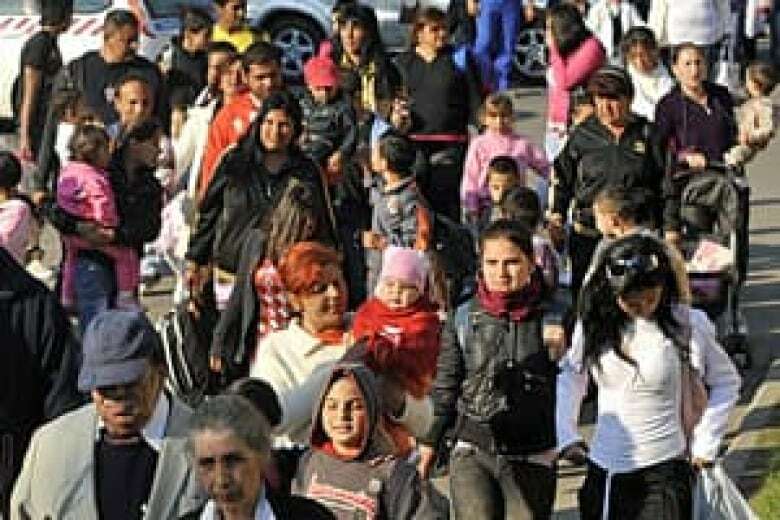 The segregation is reinforced by the fact that many Roma pull their children out of school early. All that makes it hard to find work later in life, and leads to a dependence on state handouts. But improving education attainment isn’t easy when kids are placed in Roma-only schools, or in classrooms marked C for cigany, or Gypsy in Hungarian. Erszebet Mohasci, director of Chance For Children Foundation, has been trying for eight years to get schools to implement a law that prohibits segregation. "We still can’t say that the schools are taking this seriously," she said in her office in Budapest. "Even in the most disadvantaged neighbourhoods… the [Roma] parents realize that if their children are sent to these schools, it’s certain they’ll end up unemployed. And they want to prevent this from happening. They’d like their children to go to a school just like every other non-Roma child in Hungary." Activists say the most insidious problem Roma face is racism. Fear of its consequences is so great that it occasionally compels some of them to try to hide their heritage. Roma women like Ildiko Balogh colour their hair blond to escape detection on the street. More than once, Roma parents were pleased to point out to us that their children didn’t look very Roma. As for the harassment, abuse and even murder of Roma, it is increasingly coming at the hands of paramilitary and militias. The best known is the uniformed Hungarian Guard, founded by the right-wing Jobbik party, which won 17 per cent of the vote in the last election. At best, the militias are accused of terrorizing Roma communities with intimidating marches, calling them "copper skins" and promising they will be "exterminated." At worst, they’re blamed for a series of murders, including the brazen shooting of a father and son in 2009, which police initially ruled an accident. The murders have subsided since four people were arrested. But the everyday racism endures. Some, for example, believe Roma are naturally disposed to crime, making them an easy target for Jobbik and its supporters. "It’s a persistent falsehood that the reason they commit these crimes is because they’re poor," Mirkóczki Ádám, a Jobbik MP, said in an interview. Other poor Hungarians "don’t cheat and steal or hurt anyone," he argued. "But the Gypsy population does. Day after day, they do this. Unfortunately, this is the kind of subculture and lifestyle that only applies to them... Poverty is just an excuse." Longtime Roma activist and former member of the EU parliament Victoria Mohasci takes exception to such language. "They teach all the people that Gypsy criminality [exists]... and that all the gypsies [have] in their blood the criminality," said Mohasci. "This is how I identify racism." Jobbik claims they are not opposed to a specific ethnicity, just the criminal elements within. Adam says the segregation is a "natural reaction." "Wherever these kinds of families move in, or these kinds of people present themselves, other honest people — whether they’re Hungarians or Gypsies – they’ll flee. "I also wouldn’t allow my children to attend a school where a large proportion of these people are also attending. Nor would anyone else." Jason Kenney says he’s aware of the inequity and condemns the racism directed against Roma in Hungary, but that the Canadian government doesn’t make policy decisions "based on general social criteria." Hungary’s Human Resources minister (also minister responsible for Roma) said his government is trying. It has banned militias, and is working to end segregation, though he acknowledges it won’t be easy in the current economic situation. "I’m sure more could be done," says Zoltan Balogh. "But this government’s first job was to pursue the European Union to develop a European Roma strategy, because this is a European problem." It’s also a problem that has disproportionably been landing on Canada’s doorstep. We went to see the Baloghs again days before they left for Toronto. Ildiko Balogh showed us their plane tickets, which were hidden deep inside the only closet in their tiny rented flat. She was so excited she was barely sleeping. She was also terrified. What if it didn’t work? What if they were sent back? The mere thought of such obstacles, and the tears started pouring down her cheeks. The Baloghs had decided not to tell anyone, not even their neighbours, that they were leaving until the final day. They hosted a goodbye party, to sing and laugh with friends and neighbours for the last time. At 5 a.m., it’s time to leave for the airport. People are crying and take turns hugging. They will see each other again one day, Ferenc reassures those the Baloghs are leaving behind. Ildiko, Ferenc and Klaudia Balogh are accompanied by Klaudia’s husband, Miklós, and cousin Josef. Boarding the flight to London, they struggle to fit their instruments in the overhead bin. The flight attendant helps out, asking if they were a band going on tour. They don’t understand a word of English and cannot respond. At London’s Heathrow airport, they get lost right away. Klaudia starts to cry. They think every stop at a security check or transfer gate is a sign they are about to be detained. They become quite nervous around airport staff. Eventually, they board the Air Canada flight to Toronto. The Baloghs tense up as the plane prepares to land. At the entrance to the Customs Hall at Pearson airport, they stop and point at the large sign that reads "Welcome to/Bienvenue au Canada." When they finally reach an agent, they make it clear through hand gestures that they aren’t merely visiting. In the next lineup, they are directed to the immigration section, where they wait. It would be hours before they are released to collect their things with a promise to return the next morning for more questioning. After that session, they are free to find a shelter and start their life in Canada until a decision in their case. It isn’t easy getting to know a big, unfamiliar city. They struggle at every turn. Meanwhile, there is a country to discover, a language to learn, a baby to be born. "We suffered a lot because of our origin," Ildiko Balogh said a few days after they arrived. "We don’t want to live through this again. We’d rather die here in Canada."